November 1, 2018 - Australia's thermal coal exports from New South Wales have peaked and are "now facing a terminal long-term decline" as several big Asian consumers mull switching to cleaner renewable energy, the Institute for Energy Economics and Financial Analysis said in a report Wednesday. The report's grim outlook came on the back of mining giant Glencore's upbeat forecast for seaborne thermal coal demand Wednesday. 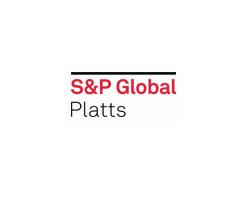 Co-author of the report Tim Buckley told S&P Global Platts that the coal industry's bullish forecasts made "no assessment of the relative competitiveness of wind and solar versus imported coal across Asia over the coming two decades due to technology driven cost deflation." According to the clean energy think tank, the country's largest thermal coal export locations including Japan, China, South Korea and Taiwan had rolled out policies to cut thermal coal consumption as they pushed for electricity generation from renewable energy sources. Australia is the world's second-largest exporter of thermal coal after Indonesia, with more than two-thirds of its thermal coal exported from the state of New South Wales. "Thermal coal exports out of the Port of Newcastle peaked three years ago and are now set to decline," Buckley said. "Imported thermal coal is now entirely uncompetitive and possible new markets such as India and Vietnam are pursuing cheaper, more sustainable renewable energy options." The report expected total coal demand in Japan, New South Wales' largest market, to fall 71% in the long term, while its second-largest market, China, would plunge 57% by 2040. It also noted that Taiwan has plans to reduce its dependence on coal-fired power from 46% to 30% of generation by as soon as 2025. The IEEFA also cited an analysis by International Energy Agency that projects global thermal coal trade volumes to plummet 59% by 2040 to 309 million mt coal equivalent. "India is not a major destination for New South Wales thermal coal exports and won't be in future," it said, adding that the Indian government was committed to reducing thermal coal imports in the long term. Recent data from Dubai-based American Fuels & Natural Resources showed India's thermal coal imports surged 35% to 42.7 million mt during the three months ended September 30, despite the government's plans to cut import reliance. The jump in imports came amid a shortage in domestic coal supply as power demand surged in the South Asian country. Meanwhile, Anglo-Swiss mining giant Glencore expects strong demand for thermal coal, Platts reported Wednesday. Glencore said the increased demand would be primarily from Asia with a 1.4 billion mt increase, while Africa and the Middle East would contribute an additional 46 million mt and 10 million mt, respectively. A Singapore-based coal analyst said it is likely that exports from New South Wales would fall by 2040 as the current state government has declined a number of coal expansion projects or new greenfield developments, limiting the supply pipeline. However, he said it would still "be a while before renewables replaces baseload electricity generation." "Some renewable projects are still heavily subsidized by governments at the moment. Without the subsidies, it becomes quite expensive to generate renewable electricity without the ability to store the power generated," he said.